When it’s been opened and viewed by your client. If you’re already an Albert user, but tapped ‘don't allow’ when originally prompted by the question about notifications from Albert - then, even after updating the app to the latest version, this will not change. In order to start receiving notifications, you will have to completely uninstall/delete the app and then reinstall it again. When prompted by the question about notifications this time, be sure to tap 'allow'. (Please note: By uninstalling/deleting the app and reinstalling it, this will not affect any of your data for sent invoices. Draft invoices will be however be removed). 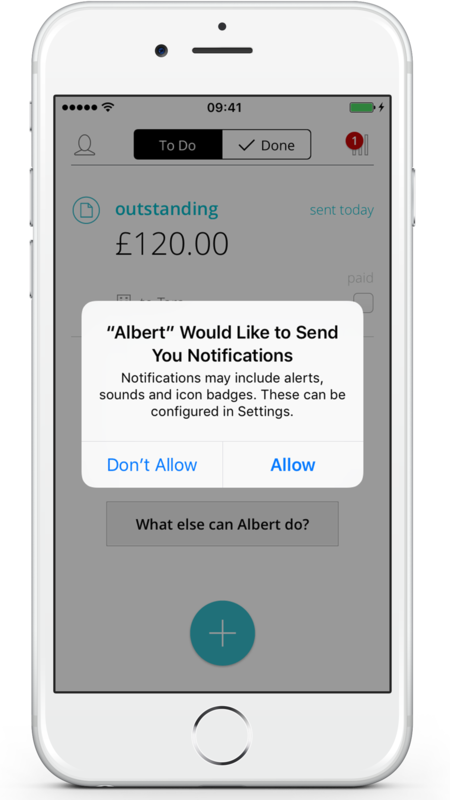 If you’re already an Albert user, who tapped ‘allow’ when originally prompted by the question about notifications from Albert - then simply update the app to enable the new notifications. 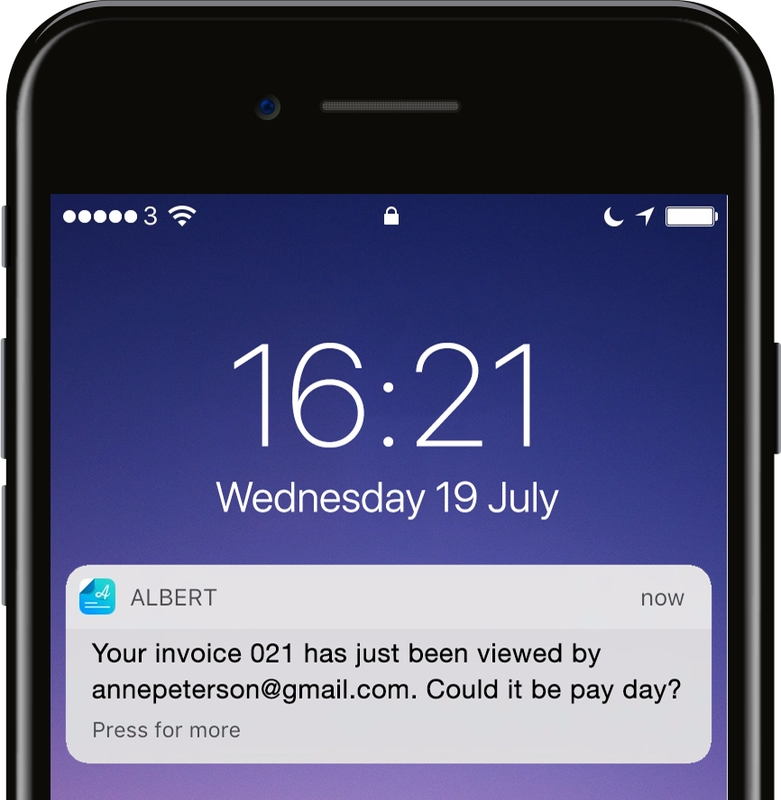 If you’re a new Albert user - be sure to tap ‘allow’ after you’ve sent your first invoice and are prompted by the question about receiving notifications from Albert. This will ensure you receive Albert notifications from now on. If you are unable to enable them using any of the above suggestions, then simply go to your phone's general settings, to the apps section, where you will find Albert. Tap on Albert, then on 'Notifications', and then make sure you have the toggle button switched on where it says 'Allow Notifications'.